The National basketball association is the premier professional basketball League in the world. McFarlane Toys has been making realistic and detailed action figures for the League since 2002. Product assortment has ranged from legendary Hall of fame players, to rookie sensations, to current Superstars in iconic poses and uniforms! carrying a stoic demeanor on and off the court, kawhi Leonard is one of the most complete players in the League, on both sides of the floor. 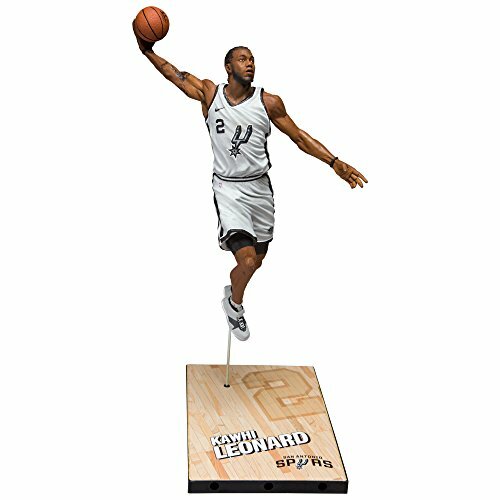 The 2014 NBA Finals MVP, Leonard has also won the NBA defensive player of the year in back-to-back seasons (2015, '16).